So the CM Punk MMA experiment is over. After a near two year build, the fight finally went down at UFC 203 in Cleveland, Ohio this past Saturday. 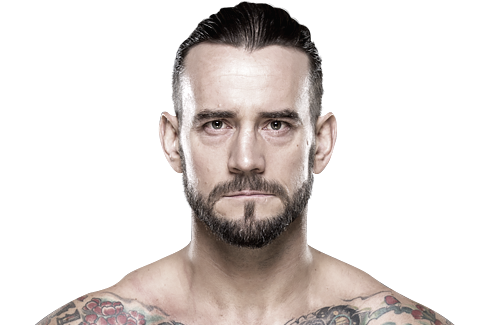 As Cult of Personality rung out throughout the arena, Punk strode down to the cage, his demeanour far more relaxed than those of his coaches, whose facial expressions somewhat telegraphed the finish. Indeed, their worst fears were realised when Punk, keen to make an impression, naively rushed into the range of the young, but talented, Mickey Gall and was dominated and tapped out inside a round. Many delighted in the hubris of his fall; others commended the guts and desire he exhibited stepping inside the Octagon. Whether he fights again is debatable; head honcho Dana White suggested the UFC would not book such an attraction (although that was before the impressive PPV buys were reported!) and even Punk himself may reflect that he has lived his (most recent) dream and step away from the cage. So when the history books of MMA are written and pored over, CM Punk will likely be a footnote, an exercise in marketing celebrities in sports, a fable of the everyman who dreams too big. Pondering on this led me to debate his legacy in wrestling. How will he be remembered in this industry? And have his contributions to the field truly concluded? First of all, I must confess, I do really like CM Punk. True, he did turn heel on this very website and there are rumours that even his best friend doesn’t care for him that much anymore. I find it disheartening that he says he hates wrestling now and given his reputation as a somewhat crotchety individual, I don’t think he is the celeb I’d love to meet and have a drink with (that’d be Austin because craft beer wins over Pepsi all day long). But I never needed CM Punk to be my friend; I needed him to be a character and personality that leapt out of the television and gave me memories for a lifetime. And that he did. Second confession: I’ve seen, maybe, three ROH matches of CM Punk’s. I’ve got a two disc DVD set of the famed Summer of Punk but it’s hard to find time to watch it because, as you may have noticed, there is a lot of wrestling on the box these days. So it’s the eight year WWE run of 2006-14 that I have the most experience of, Eight years. A lot of the roster is afforded eight years to make their mark on the industry but many don’t manage to craft even eight moments of magic. Moments are what a career is about: a visual, a match, a promo, something that will make the highlight packages for years to come. Punk’s epic title reign has him in the history books; his match against Cena in Chicago in 2011 will always be remembered as an emotional night where the result mattered more than the performance; as of right now, he has had the Undertaker’s last great Wrestlemania match. His pipe bomb promo is a genuine Raw moment, a rare piece of modern wrestling already cherished as dearly as any angle from the Attitude Era. Just as we have fond childhood memories of Hart and Michaels, Austin and Rock, Punk has provided real moments for our adult selves to savour. His place in fan’s hearts is secure. But CM Punk has transcended being just a great wrestler; CM Punk is now an idea. While the Yes movement dominated storylines, Punk’s post Royal Rumble walk out triggered a real crusade amongst the fanbase. His infamous podcast with Colt Cabana solidified this as he tore WWE a new everything: creative was mocked; Vince was castigated while Hunter was disrespected; Ryback and the fed’s doctor were outright savaged. Punk became the unofficial spokesman for the crowd who thought that wrestling just wasn’t as good as it used to be. For them, a new way of expressing themselves was born and it exists to this day. The mantra is still clear: if the match or promo isn’t good enough, chant CM Punk. If you don’t like the act or the way the booking is headed, shout out loud CM Punk. Maybe it’s because smart fans believe the urban legend that if you say his name often enough, he will actually appear or maybe his name is shorthand for rebellion. CM Punk is the harsh, uncompromising literary critic that every smart fan wants to reference in their work. And whilst the chants can get tiresome, if WWE wants to eliminate the practice, they have to book smartly to satisfy the increasingly demanding fan base. CM Punk’s ghost haunts them and will only be exorcised if they present the sort of hard hitting, modernised product that he had been clamouring for. Punk might not be in the back, badgering creative and demanding change anymore but he doesn’t have to be; he has thousands of people in the crowd doing it for him. In his 2011 promos, he promised the audience he would usher in change. Punk’s words felt genuine and the crowd bought in for real. The expectations of a generation have been shaped and even if he isn’t on hand to take credit for it, Punk may well be responsible for much if what is the New Era. So Punk’s past will live on. But what of his future? If the MMA is out of his system, might he wrestle again? He has certainly softened on this notion. Never has become never say never which is all certain rumour mills need to get ridiculously excited. For my money, I wouldn’t expect him to ever wrestle for WWE again; at best, in 20 years he may return to accept a place in the Hall of Fame, becoming the next Bruno or Warrior, a man older, calmer and ready to embrace his past successes. Then again his legacy could be becoming the headline guy who doesn’t resolve his differences and return to the fold. Until the law suit between Punk and WWE is settled, it will be hard to judge the finality of their divorce. But the wrestling world is bigger than the WWE universe and other opportunities may wait. He has spoken in interviews of his original career plan; to wrestle in Japan and return to the States a man without fame. Whilst it’s too late for the latter, he could still do the former. Maybe he’ll show up and compete in BOLA one year or possibly even return to ROH for special events. The latter is particularly interesting: if he could ignite a smaller company, using his fame to grow the business and increase the level of competition in the industry, his legacy really would be one of change, just as he promised it would be all those years ago. Whatever happens, I hope Punk finds peace with wrestling and appreciates his place in its history. That was his first love (MMA is clearly a rebound fling; she even looks like wrestling!) and maybe he can love it again. Whether he wrestles, puts on a HOF ring or even just watches an episode of NXT, I want Punk to once more realise what he knew all those years ago. Wrestling is to be enjoyed.